Modern . Classic . Photography . 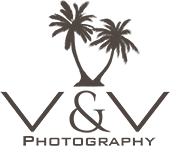 Welcome to the Photo Gallery of V&V Photography, LLC! This is where the magic happens between you and the lens - turning your experience into memories! If you are looking for family beach portraits along Santa Rosa Beach, 30A, and Destin, look no further! V&V Photography, LLC has been voted among the Top 5 beach photographers in Destin for 2018! Jeffery Patrick has been the trusted source for capturing your family's memories while enjoying some fun in the sun along our beautiful Destin Beaches, Santa Rosa Beach, and 30A coastline for over 15 years! Jeffery Patrick is a premier 30A and Santa Rosa Beach, Wedding and Portrait Modern Photojournalist. His beach portrait & wedding sessions, whether on the beach, or parks are energetic, free-flowing, and most of all fun. No vacation is complete without family beach portraits with V&V Photography, LLC. Make us part of your family’s vacation -The value of your memories- Priceless! As you stroll through the images you will realize that smiles are contagious! If a Picture Tells a Thousand Words, What Story Will You Tell? What a wonderful photographer. He has a gift of capturing the essence of a person. We used him as our photographer on our vacation to Destin, Fl. Very, Very happy with the photos and the beach scenes were awesome!! Jeff is very personable and professional. His prices are great and we highly recommend Jeff to anyone who would love to bring home gorgeous photos of their vacation, graduation pictures, weddings or just photos of yourself!! We recently hired Jeffrey Patrick to take family portraits of our family. With four young children, it's often quite challenging to get a good shot of them all together. Jeffrey totally exceeded my expectations! These are by far the best portraits we have of our children! He totally captured their personalities & giggles in almost all the shots. There honestly was not a bad shot in the proof book! Wonderful job!!! Jeffrey is a very professional and friendly. He will make you and your family very much at ease. He has photographed me and my family not once but three times. That just tells you how well we like his work. We have always been 100% satisfied with our pictures. Jeffrey is extremely patient with children and my kids just love him. He changes things up so even though we do beach pics every summer they always look different. He has captured very precious moments in time for me and my family and I treasure my pics. Thanks Jeffrey for all that you do and I look foward to seeing you next summer! Welcome to the gallery where your memories are stored! This on-line photo gallery will host your images for 30 days. Please note the expiration date and back up your images to a secure thumb drive and other location! Enjoy! Welcome to the gallery of V&V Photography, LLC. This is where the magic happens between you and the lens - turning your experience into memories! As you stroll through the images you will realize that smiles are contagious!